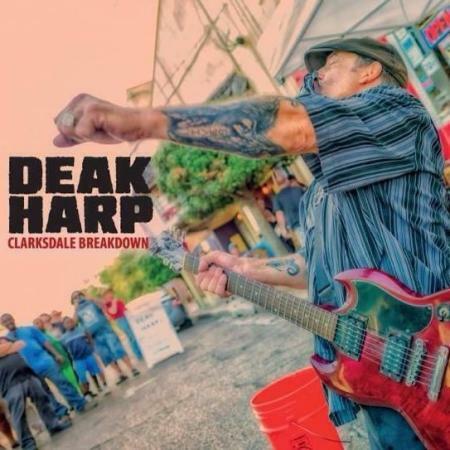 Deak Harp pays tribute to his newly adopted hometown after his move to the Delta last year with this collection of 14 original tunes recorded in one take without overdubs at Big Toe Studios in Duncan, Mississippi. 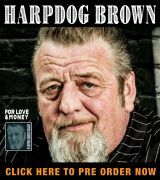 A former member of the Kilborn Alley Blues Band in central Illinois, where he formerly resided, he’s a powerful harmonica player who’s toured extensively as a one-man band, accompanying himself on guitar and percussion. He comes by his harp chops honestly, having spent six years on the road as driver for Mr. Superharp himself, James Cotton, and he’s also making a name for himself as a harmonica builder, working out of the shop he’s opened in downtown Clarksdale, Deak’s Mississippi Saxophones and Blues Emporium, where you can frequently find him busking on the sidewalk outside the store. Guitarist Bill Abel co-produced the album and accompanies Deak on four tunes with Randy “Da Bones Man” Seppala adding drums on two numbers. Deak’s warm, full-bodied tones are evident from the first notes of “Mad Dog 20/20,” which kicks off the disc. Previously released in another version on a disc promoting Big City Rhythm And Blues magazine, for whom he also works, it recounts Deak’s time down on his luck, living in his car in Chicago, where he eased his pain with the cheap wine mentioned in the title. He and Abel trade dark licks that bring the suffering home. The mood brightens dramatically for “If You’re Ever In Clarksdale.” Deak hits the reeds with a steady, sweet driving pattern, accompanying himself on percussion, as he sings praises of Red’s, “the finest juke joint in the whole land,” after having growing up in a city in the East where the streets “were a cage.” The pace slows for “It’s Alright,” a straight-ahead blues about a relationship gone stale, before “Juke Jump,” an instrumental that provides a wall of sound. Deak’s skill as a left-handed electric guitarist is on display for the instrumental “Delta Wind,” accompanied by Seppala. Abel keeps the Delta going as Deak sings “Dirty Rosie,” filling in the vocal holes with a rock-solid run of harp licks. “Up All Night” is a slow grinder about having the blues in one’s soul. It remains interesting for the better part of six minutes, driven home by another bit of rhythmic circular breathing on the reeds, before giving way to “Bubba Blue,” with Deak singing about having a mean woman who doesn’t like his dog. Like many of the other tunes here, it delivers the hypnotic feel you’ll experience in a back-country North Mississippi juke — like you’ll find in “Under The Bridge,” in which Deak’s still living in his wheels in New York City playing on the street to raise enough change to have a few drinks in a bar. “No Hurry” takes its time delivering a message about not being in a rush before giving way to “Clarksdale Breakdown” in which Deak abandons vocals for guitar and rhythm with harp accents. The Chicago-style “It’s OK To Smile” precedes “Yellowhammer Breakdown,” an instrumental, before Deak’s “Ridin’ The Rails” takes him home. If you like barebones, in-your-face harp blowing in a traditional Chicago or Delta vein, you’ll definitely like this one. 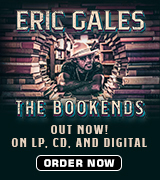 It’s a major pleaser, and available through any of the major online retailers or directly from the artist’s website.